Florida braces life-threatening storm surges as Hurricane Irma has strengthened and moved across the lower Florida Keys. According to the latest update, Irma is centered 40 miles from south-southeast of Key West, Florida and is surging ahead north-northwest at about a speed of 8mph. National Hurricane Centre predicts 130 mph maximum sustained winds as it moves ahead in Florida. 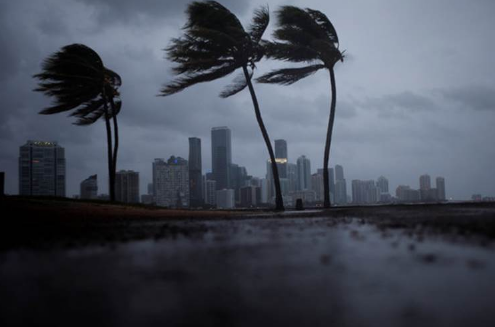 Florida is facing 'most catastrophic storm' ever to hit. Hurricane Irma is bringing tornadoes causing as high as 15ft sea surge and flooding with devastating winds. A Tornado warning has been issued. It is likely to cross the Lower Florida Keys Sunday morning. It brings along heavy rain and destructing winds. Swelling surges at such a massive level can bring flash flood and cause houses and buildings to submerge under water. In Miami, torrential rain has already been started and streets have submerged in water. Over 6.5 million people from Florida have been evacuated; several of them shifted to shelter homes. Nearly 270,000 homes are without electricity due to wind gust and heavy rain. The state Governor has urged people in the evacuation zone to get out of the path. Currently, the efforts are being made to save human lives. Over 4 million children are facing a multitude of risks which includes damage, chances of being separated from parents and psychological trauma. Entire Florida has been issued Hurricane Irma warning. Florida is the third largest state in the US and the deadly hurricane can impact 36 million people there. 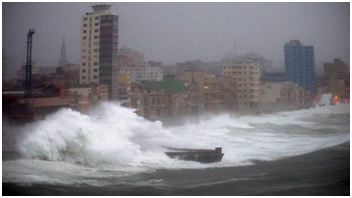 The storm surge brings the deadly storm, heavy rain, and life-threatening conditions. Flash flooding can destruct buildings and everything in its way. It is being feared that the Irma will play havoc on Florida and cause damage worth billions of dollars. It takes years to recover from such calamities. The Irma has already devastated the Caribbean islands causing great damage and has taken a death toll of 22.